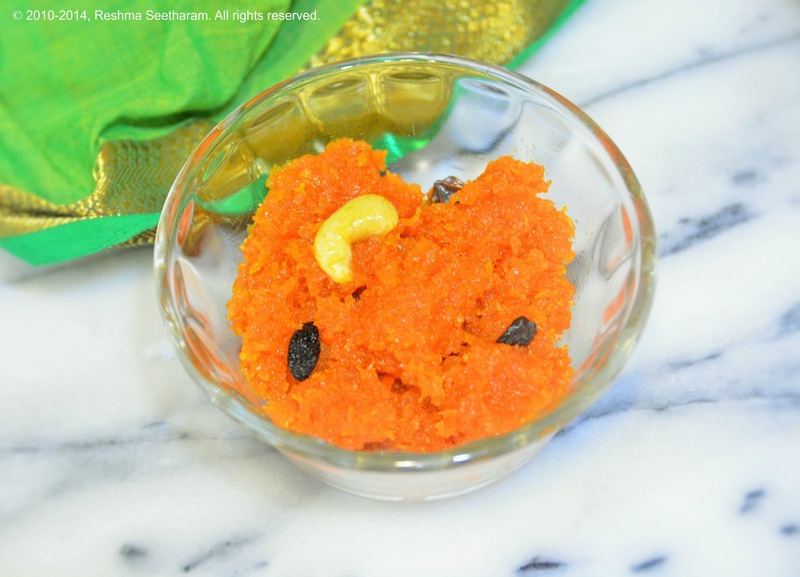 Carrot halwa requires a ton of carrots, milk, sugar and a whole lot of patience. Here is a short cut method with sweetened condensed milk. 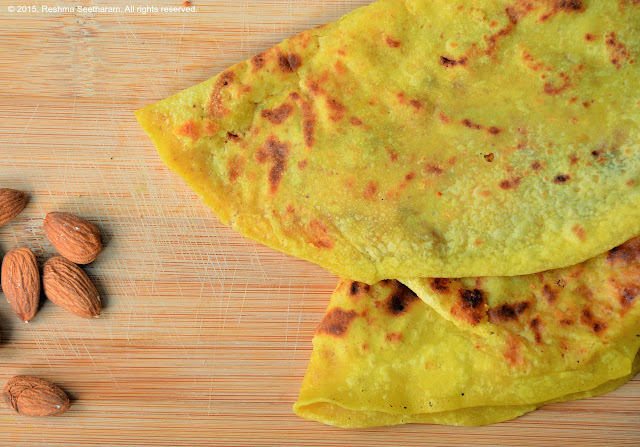 It will cut your cooking time in half and taste yummier than your mom in law's recipe! 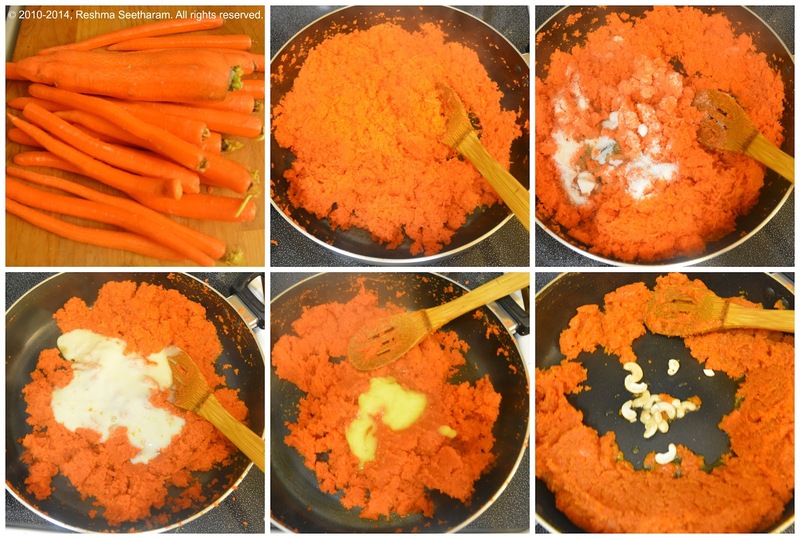 In a heavy non-stick pan add 2 tsp of ghee and roast the grated carrot for about 10 minutes on medium-high heat stirring continuously. Add the sugar and continue to cook until the mixture shrinks down to half its volume. You should be left with a sticky and thick consistency. When it reaches this stage, add the condensed milk and cook on low heat. Roast it for another 10 minutes, until the condensed milk is soaked through to form one mixture. Add ghee and roast it for the next 3 minutes. Push the halwa to the sides of the pan. 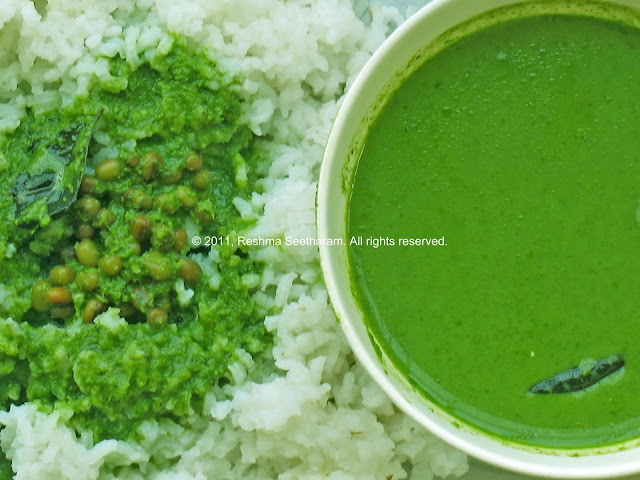 Add another teaspoon of ghee in the center, and toss the cashew nuts. Fry them to a golden brown. Add raisins; turn off the heat. Serve it warm as dessert. It tastes great with a scoop of vanilla ice-cream on the side. Enjoy!